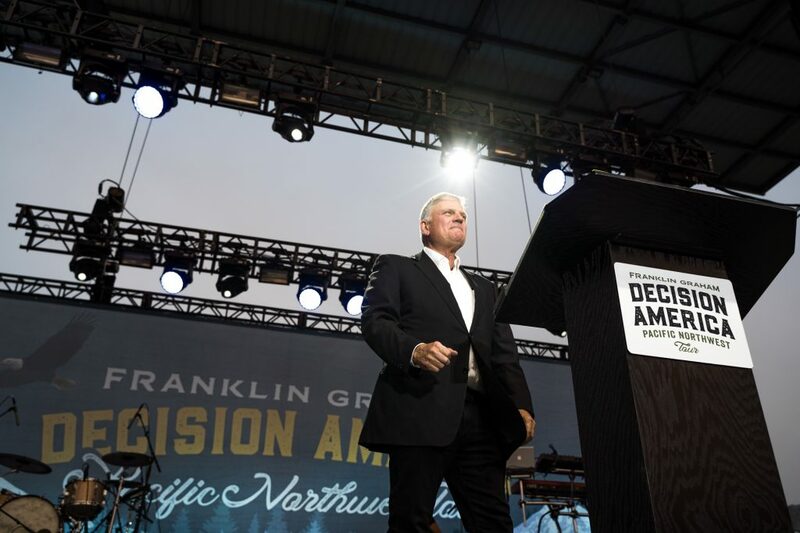 Franklin Graham shared a simple Gospel message that God used to transform the lives of two sisters on the Decision America Tour. When Nichole Regnier heard the Decision America Tour with Franklin Graham was rolling through California this past spring, she knew she wanted to take her family. She and her husband, Ian, have six children from ages 3 to 12. They live in Oregon but were spending some time in Northern California when the tour came to Chico on June 3. “I really, really wanted to go,” Nichole said. But the Regniers have been riding out a difficult season, and when the Chico event came around Nichole didn’t have the gas money to take everyone. She stayed home with her younger children and asked her mom if she could take the two oldest girls. 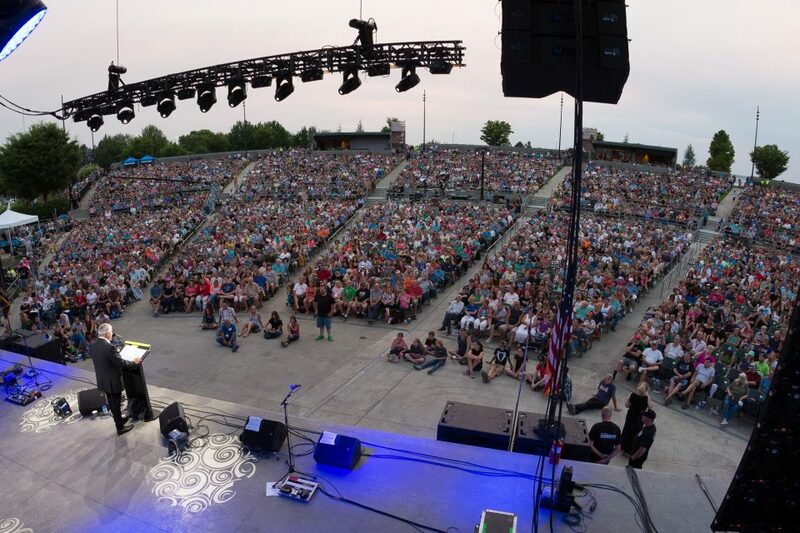 Nine-year-old Zoey and 12-year-old Julia went to Chico and heard worship music from Jeremy Camp and a simple, direct Gospel message from Franklin Graham. Both girls decided to re-dedicate their lives to Christ and texted their decisions to the Billy Graham Evangelistic Association (BGEA). 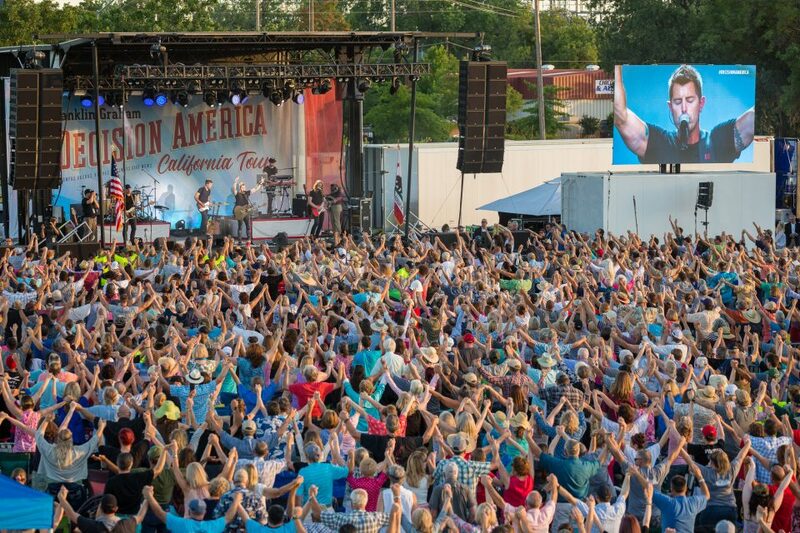 Chico was the ninth of 10 stops on the Decision America California Tour with Franklin Graham from May 20-June 5. Jeremy Camp led the crowds of people in worship each night. Between changes with Ian’s job and an attempt to move to California that fell through, life has felt uncertain. The family hasn’t found a steady church home since moving to Oregon almost two years ago, and that has weighed on Nichole’s heart. The news about her daughters’ time in Chico was just what she needed. Fast-forward two months to the first event on the Decision America Pacific Northwest Tour. The Regniers were back in Oregon, only about a half-hour drive from the tour stop in Medford on August 1. The whole family was planning to go together, but Ian was called into work and Nichole needed to stay home with their 3-year-old twin boys. Some friends of the family offered to take Julia and Zoey again. Those friends—Jessica and Mike Coble—got to watch four of their daughters make decisions for Christ. Their oldest girls, 12- and 13-year-olds Kaydence and Kayla, re-dedicated their lives to God. 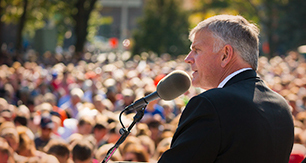 Franklin Graham preached the Gospel in Medford, Oregon, on the first stop of the Decision America Pacific Northwest Tour in August. More than 70,000 people came out during the 7-stop tour. Jessica said her daughters Kelsey and Kori, ages 8 and 10, prayed to accept Christ, “truly understanding what it means to become saved.” And they started asking about being baptized. The Medford event was also significant to the Regnier family. Julia and Zoey once again shared that the message they heard drew them closer to God, and Zoey decided to text BGEA with a question about prayer. Each text is seen by a member of the BGEA team, and families are quickly connected with a local church that’s part of the ministry’s growing church directory. 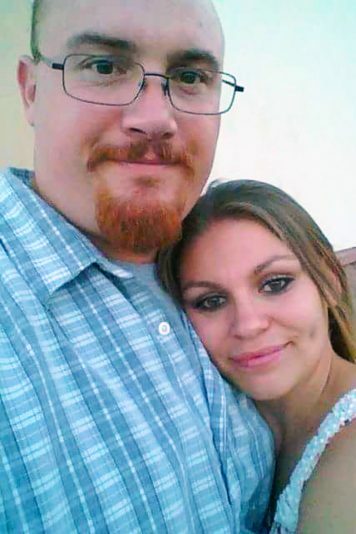 After her girls texted during the Chico event in June, Nichole was contacted by a local pastor. 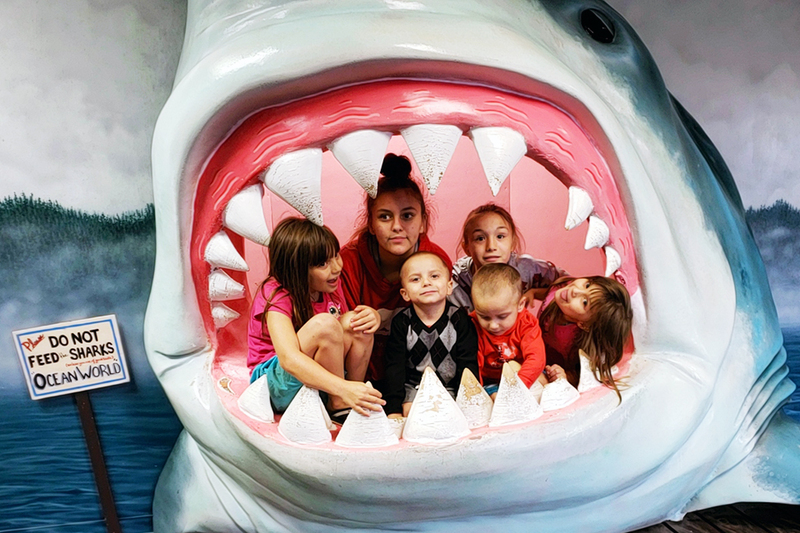 At the time, Nichole wasn’t ready to share much and was unsure about whether the church would be a good fit for her family of eight. After Zoey’s text at the Medford event, the same pastor called again. This time, Nichole was ready to open up. She said getting a response from a real person at a local church was a nice touch. She’s hopeful the church could be the right fit for her family. As far as Nichole sees it, the two Decision America events in two states may not have worked out the way she planned, but God had it all figured out. God loves you and knows everything that’s on your heart. Get to know Him today.